Prior to this she was spear-heading the environment vertical of a leading tyre manufacturing organisation. There she worked specifically on the issues of biodiversity enhancement, emission reduction, water conservation,sanitation, waste management and poverty alleviation, aligned with national and international development agenda. She was also front leading the sustainability reporting and framework design there. 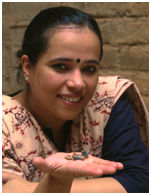 Kanika is also a LEAD fellow for mainstreaming climate change mitigation. She recently got felicitated with the ’50 Most Talented CSR Leader’ citation by World CSR Day, and is also part of the Advisory Council of World Sustainability Congress for contribution in the sustainability field. She is amongst the youngest professionals to be part for EY Women Business Leaders Network. By training she has a Professional Masters Degree in CSR from Asian Institute of Technology, Thailand, where she extensively researched on the issue of end-of-life tyre waste in India in the absence of any producer responsibility law. In her spare time, she actively writes on sustainability issues and also enjoys delivering guest lectures on the subject at different institutions of repute. Sriskandh has worked in the Climate Change and Renewable Energy space for a decade. He is an advisor for renewable energy and climate change at SoCHE. He is also a member of the United Nations Framework Convention on Climate Change (UNFCCC) Registration and Issuance team and also works as an advisor to the Gold Standard Foundation. Previously, he has worked in the development sector as the Head of Standard Development at the Gold Standard Foundation and as Program Manager in Winrock International India. 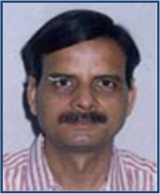 He has also worked in the corporate sector with Infrastructure, Leasing and Financing Services (ILFS). By training he has a Masters in Environmental Management from the Centre of Environmental Studies of the Guindy Engineering College in Chennai and a Bachlerors Degree in Chemical Engineering from the Madras University. In his spare time, he likes to watch soccer and is an avid Arsenal afficionado. He also is a passionate wildlife photographer and train lover. Dr. Anil Kumar Agnihotri, PhD in Organic Chemistry from University of Lucknow, has superannuated as General Manager HSE after 32 years of dynamic professional career from ONGC India. Besides his routine portfolio in ONGC, he has also carried out extensive research work in environmental biotechnology especially in the fields of Bioremediation of oily waste, Biomethanation, waste to energy, and many other interesting fields of Applied Biotechnology. He was awarded National Petroleum Management Programme Award for Excellence, Creativity & Innovation – Team Category (Non R&D) for the year 2003-2004, by Ministry of Petroleum & Natural Gas, Govt. of India among several other accolades. His present research interest is mainly energy recovery from municipal solid waste and other industrial wastes. He is the Fellow of Leadership for Environment and Development (LEAD) and Member of Mission Advisory Committee (MAC) of National Mission on Bamboo Application, Department of Science & Technology, Govt. of India. His research publications include 3 Patents, 1 Book, 16 Peer reviewed international journals, 45 International conference proceedings and 5 Research Reports. 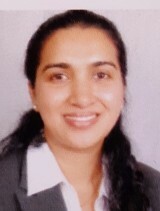 Smita has a background in corporate finance, having worked in top-notch firms and foreign banks for over fifteen years. Her last stint was in the Investment Banking arm of a foreign bank where she was part of the senior coverage team. There for around a decade she was involved in fund raising and advisory transactions, dealing with other banks, financial services companies, conglomerates and multinationals. Smita is a Chartered Accountant by training and holds a Masters degree in Corporate Finance from the London School of Economics. An association with SoCHE Foundation fulfills a long-standing wish of Smita to make a meaningful contribution to conserving Indian arts and crafts, while positively impacting the environment. Smita will be involved in raising funds for the various projects undertaken by SoCHE Foundation and link it to impact generation or social and environmental return on investment. Sumit G Sehgal is an international wordsmith with literary experience spanning over eleven years. He has been conferred with the reputed Karamveer Chakra Award, established by the UN and Rex Global Fellowship for his contribution to the Indian literary world. 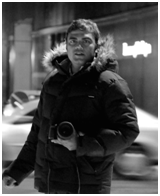 Sumit is the founder/director of Butterfly & The Bee, an erudite hub for India’s literati. He is an established author with a published fiction novel to his credit, My Chameleon Soul. 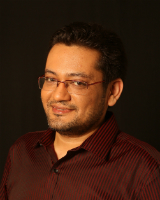 With twenty-nine e-books as a ghostwriter, Sumit also has additional body of work both as a writer and poet published in various national and international anthologies and journals. An events planner, digital communicator, visualizer and designer, festivals curator, mentor for budding writers, Sumit is also an ardent environment advocate and front leads Nature’s Jamboree – the environment advocacy programme of SoCHE Foundation. Sandeep is among the most inspiring young social entrepreneur of India. He has represented India and the cause of youth leadership at various international platforms like G.S.V.C and DBS-NUS Singapore. He is providing SoCHE with expertise in community engagement across social upliftment projects. He is also the founder director of “Bharat Calling” initiative in Itarsi (MP) and the co-founder and director of “Vikalp”- helping people to make informed career choices. His expertise includes, community mobilization, project designing, stakeholder engagement, leadership workshop, business planning. He is a recipent of various fellowships such as M.S.D.S., LEAD, Changelooms, Plustrust, TISS-DBS among others; and has been featured as most inspirational youths across India at various platforms including Kaun Banega Crorepati, Power of Inspiration Tehelka, Down to Earth etc. He has recently been felicitated with Manava Sewa samwardhini award for excellence in social work. Shailly is sustainability specialist and is providing SoCHE with expertise in areas around corporate sustainability maturity analysis, formulation of sustainability strategy, carbon management, waste management, ESG analysis and due diligence. 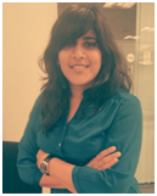 She has over 8 years of experience in consulting some of India’s largest corporate and government agencies in developing sustainability strategy and systems, new product development, assessment of existing ESG parameters and streamlining operations, public communication and disclosures, GHG management and solid waste management. She is a commerce graduate from Delhi University and completed her MBA from IMT, Ghaziabad. She is also a certified CSAP professional and well versed with with several protocols and standards such as IFC Framework, GRI Standard, GHG Protocol, ISO 14064 and 14065, International Sustainability and carbon Certification (ISCC), American Petroleum Institute (API) GHG guidelines, Airport Council International (ACI) Carbon Footprint Protocol, GHG Protocol, PAS 2050 & ISO 14040/44. 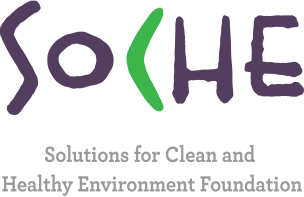 Sindhoori is a professional graphic designer and worked on the branding of SoCHE Foundation, giving it its unique brand identity. Sindhoori holds a Bachelor of Fine Arts degree, specializing in Graphic Design from the Mason Gross School of Arts, Rutgers University, NJ, USA. She graduated in the year 2009 with high honours and worked in New York for almost two years before moving back to India. With over 5 years of experience in fast-paced, versatile design environments, she holds a strong background in conceptual designing and visually communicates an idea with ease. She has worked on the designs of various Responsible Business Reports.